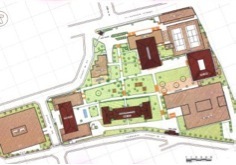 Development of a comprehensive physical master plan for the development of the Lebanese American University Campus in Beirut. The already existing and well established Campus already accommodates a gross built-up area of over 25,800 sq meters and has a functional capacity for an estimated population of 2,500 FTE (Full-Time-Equivalent) students. 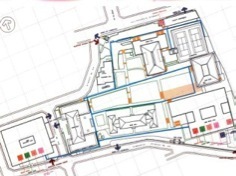 The aim and challenge of the study was to upgrade the existing campus capacity through a program of new constructions and expansions in order to accommodate an ultimate population of around 4,000 FTE students by the year 2011 (i.e. over a period of 15 years). The study covered all facets of Campus development including educational, administrative, recreational, infrastructure and ancillary support facilities. • Inception, data collection and site investigatory studies. constructions and expansions based on the Client's declared policies, goals and objectives. • Formulation and evaluation of Land-use concept plan alter natives and nomination of a preferred scheme. • Feasibility studies and analytical assessments. daily operation of the campus. • Development of overall landscaping theme and individual building architectural design briefs. • Development of a detailed master plan for infrastructure and external works. The services included field investigations, architectural and engineering appraisal of existing facilities, conceptual and detailed Master planning, detailed architectural design briefs for new constructions, expansions and up-grading of existing facilities, preliminary design of roads and circulation network, infrastructure conceptual design, tendering and implementation guidelines as well as preparation of individual construction packages.